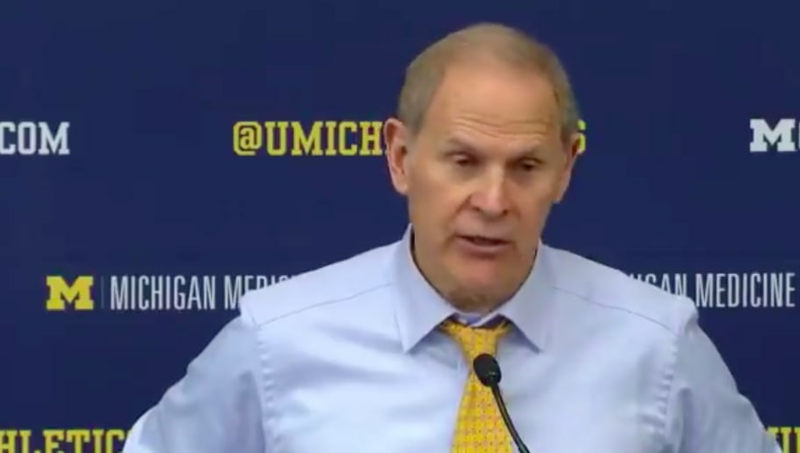 John Beilein has had it up to here with Ethan Happ scoring against him in the low post. The Michigan head coach had to square off against Happ, a four-year starter at Wisconsin, for what should be the last time. The pure relief and joy in Beilein's voice after the Michigan's 61-52 win is a testament to how good of player Happ can be. ...No, @EthanHapp22. I don't want to see you again the rest of my life!" In just 26 minutes, Happ put up 18 points and 11 rebounds and looked like the best player on the floor most of the game, even with future NBA players Iggy Brazdeikis and Jordan Poole suiting up for Michigan. He's averaging 18.3 points, 10.5 rebounds, and 4.9 assists per game in 2018. After four years at Wisconsin, in which his WORST season averages were 12.4 points and 7.9 rebounds per game, it's safe to say Beilein is happy to see Happ go pro. Wisconsin isn't a school that thrives on the one-and-done. Instead, it keeps and develops players like Happ into stars before they leave for the professional ranks. With Happ's time in Madison coming to a close, one of the biggest thorns in Beilein's side that has inhibited his Big Ten championship hopes might finally be gone for good.